Is active content really that dangerous? 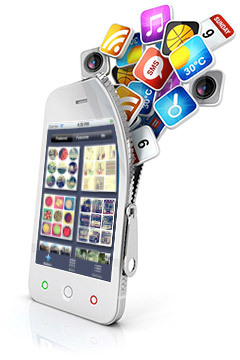 Just Template IT have been building successful mobile phone applications since 2006. Providing applications for Android, Apple, Nokia and other mobile based suppliers. Our team of software and designers can help you bring your ideas to life. No matter how large the project we can deliver your requirements. As a team of highly talented software engineers we have developed a large array of applications some of which can be found on itunes. As well as the applications we have built for itunes which are publically available we can also develop applications for businesses such as backoffice solutions to manage messaging from multiple shopping channels. We offer the full turn-key solution with our award winning design and Microsoft certified and mobile developers we can help build the app you are looking for. Contact us today on how we can help you with your mobile development. You can contact us at any time on 0121 285 1050. We would be delighted to chat with you further on all types of application development. Interested in finding out more on Custom Mobile Application or Games Development for Apple and Android Phones? Please Contact Us for a free consultation on how we can help.